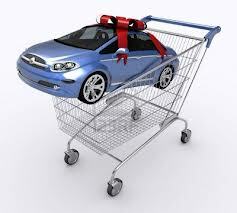 Easy and Fun Car Shopping? adding it to the cart? Well, besides trying to make it fun, I try to make the process as painless and actually, as easy as possible. Does it happen all the time? No, but it’s my goal. I find the best policy is honesty. Seriously, I know you’re laughing right now at the thought of an honest Car Sales Consultant. That’s the past and that’s not me! In fact when I interviewed for the position I made it quite clear that I am an upfront, direct and honest person and that’s the only way I know how to conduct myself at work or home. Oh yes, let’s not forget the laughter. How can I make it easy for the consumer? I believe when we say hello you will find me easy to talk to. Talking is the key. I can’t read minds, so a dialogue is imperative. It is my job to find out what you want and don’t want in your new car. Even if you don’t know exactly what you want, with a few questions I can get us started on a journey that will be entertaining and a win win for everyone!